The species is widespread in much of England, but is apparently very locally distributed in upland areas and the north of Britain. It is widespread in western and central Europe as far north as southern Norway and Finland. The webs of this species are found on low vegetation, bushes and sometimes the lower branches of trees in a wide variety of habitats. 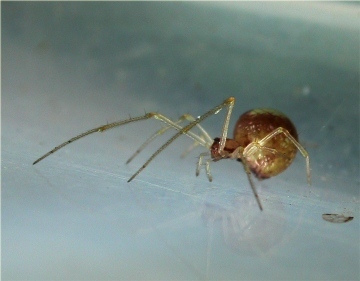 Females carry their egg-sac attached to their spinners and are often encountered whilst grubbing around in rank grass. Both sexes are mature mainly in early and mid-summer, females occasionally surviving through to the autumn.